Balcony, Open Porch(es), Outdoor Living Space, Shaded Area(s), Sunny Area(s). 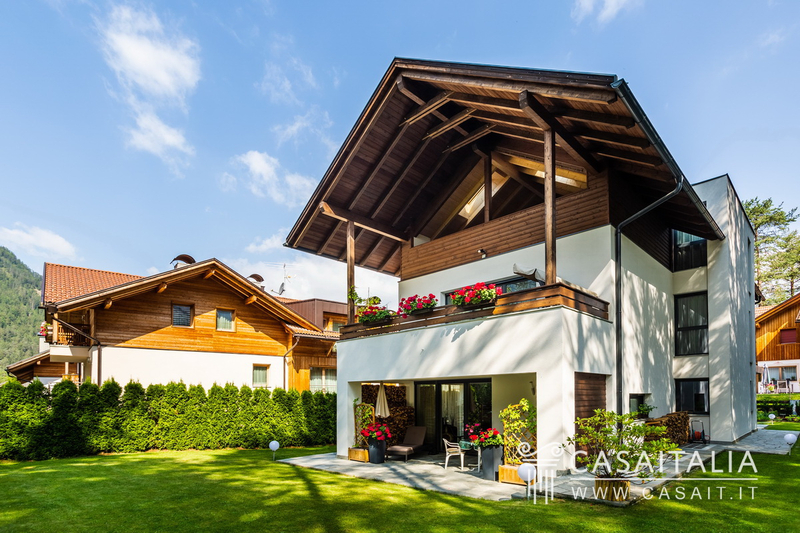 Traditional chalet in the famous Plan de Corones ski resort, in the heart of the Dolomites, with state-of-the-art machinery and kilometres of interconnected pistes. 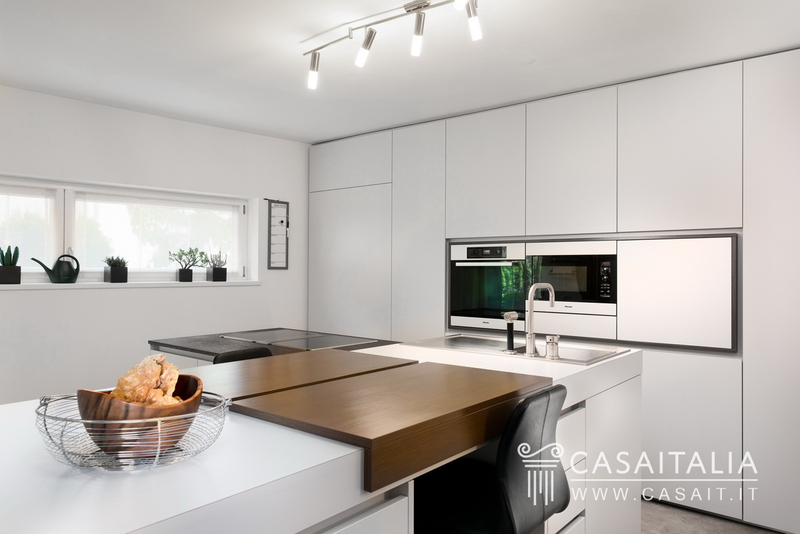 Measures 385 sq.m over four floors, including basement, with spacious living areas, 4 bedrooms and 4 bathrooms, the latest appliances and an excellent energy efficiency rating. 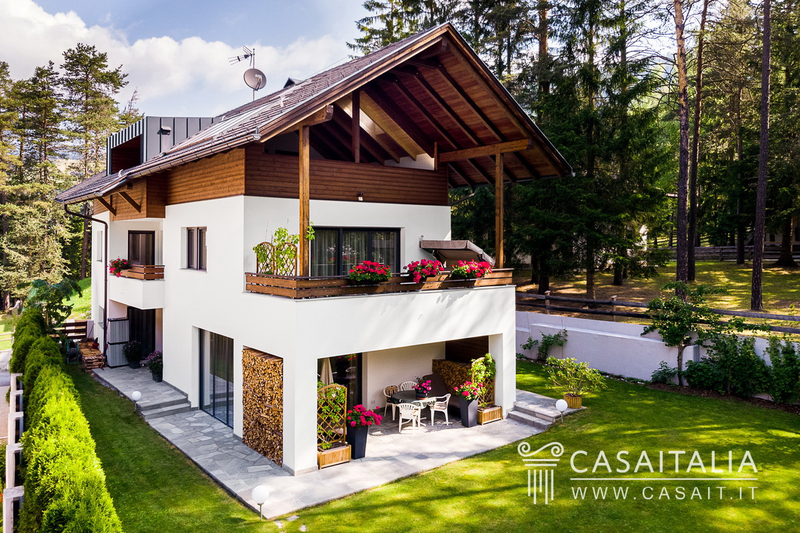 Geographic position Chalet Marebbe is a typical example of a luxury mountain residence, recently built in the famous Plan de Corones ski resort. 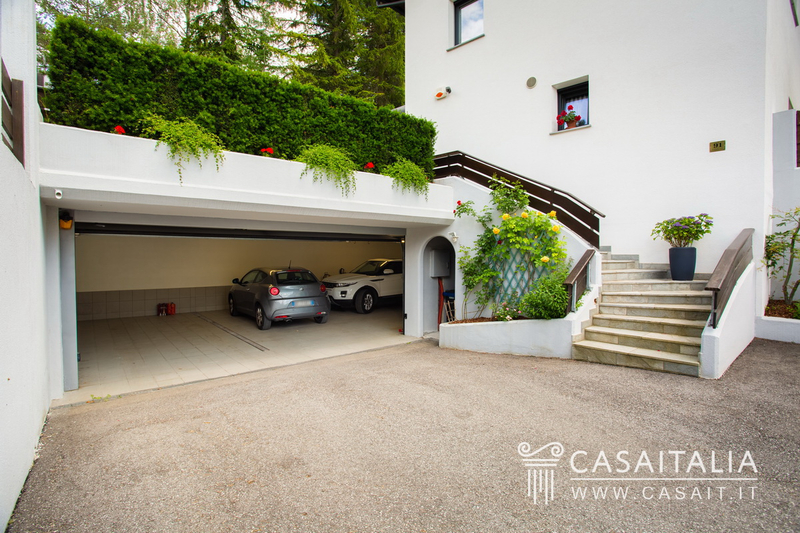 The building is in a residential area, a short walk from the centre of the village in a convenient location in relation to shops and main services, and also for taking excursions and walks in the nearby Fanes-Sennes-Braies natural park. 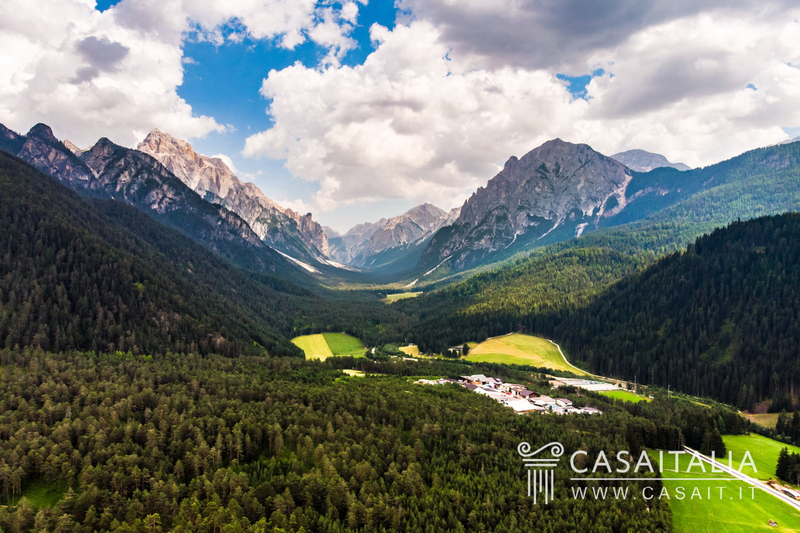 A few minutes drive or a shuttle ride gets you to the ski lifts of Plan de Corones, which are connected to those of Alta Badia and to the Sella Ronda circuit. Brunico, the largest town in the Val Pusteria, is around 18 km away (25 minutes). The city of Bolzano, the capital of the province, is 80 km away (1 hour and twenty minutes) while Trento and Innsbrueck (A) are 140 and 115 km away respectively and can be reached in around 2 hours’ drive. Venice airport (200 km in less than three hours) and Innsbrueck airport (115 km in an hour and three quarters) are the closest, and provide connections throughout Europe. Description of buildings The building was designed by a pool of young architects, respecting the traditional aesthetic style of the area with a contemporary influence, using the latest materials to achieve an excellent energy classification (Klimahaus “A”). The chalet has four floors and is laid out as follows: - in the basement, there is a large garage for three vehicles (with two further parking spaces outside the garage), utility areas, cellars, storage spaces and a staircase with direct access to the house; - on the ground floor there is the living area with modern, open Zeibisch kitchen complete with Miele and Gaggenau appliances, guest bathroom, typical dining area and spacious living room: all with access to the bright veranda and private garden; - on the first floor, there is the sleeping area comprising the master bedroom, with en-suite bathroom with hydromassage and infrared sauna and access to a large terrace, another two bedrooms, a bathroom and another area used as a wardrobe; - on the second and final floor, a mezzanine, there is another bedroom, a bathroom and a pretty relaxation area with large covered terrace with view of the surrounding countryside. State and finishing Chalet Marebbe is in perfect condition. 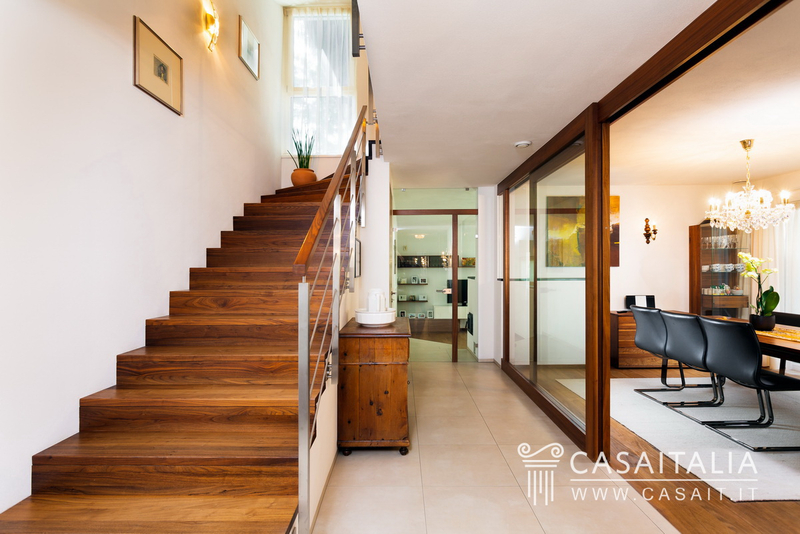 The careful construction and maintenance of the property was born of an innovative concept: walls with external insulation and wooden cladding, parquet flooring in the highest quality hickory and ash, triple glazed windows in aluminium and wood, and solid wood flush doors are just some of the features of this property. 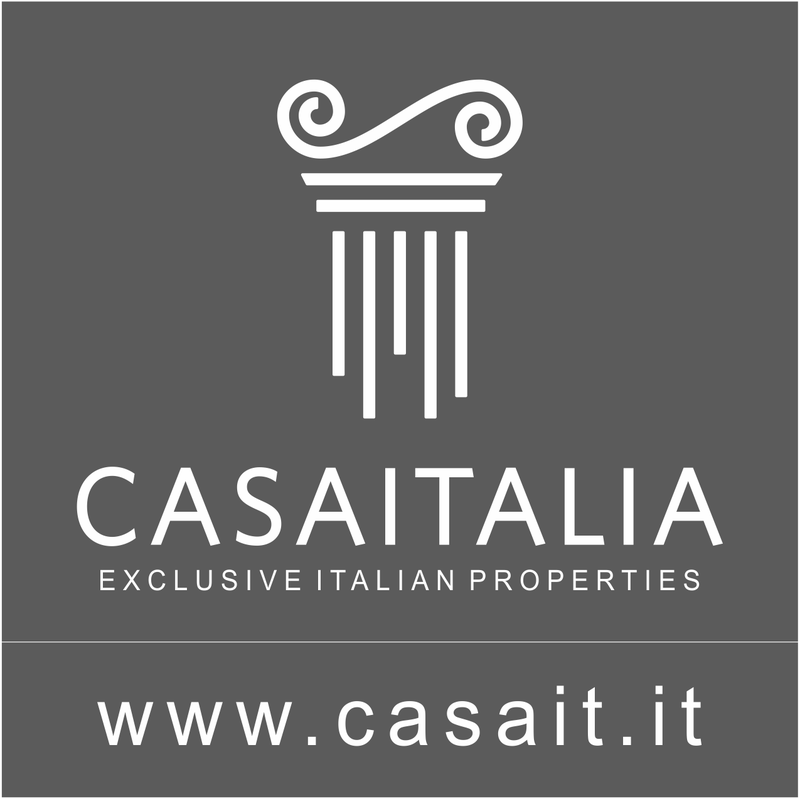 The price of the house does not include the furniture, however, if necessary it would be possible to negotiate buying this separately. External areas The house was designed to achieve maximum harmony between the outdoor and indoor spaces, in order to make the most of the natural light. 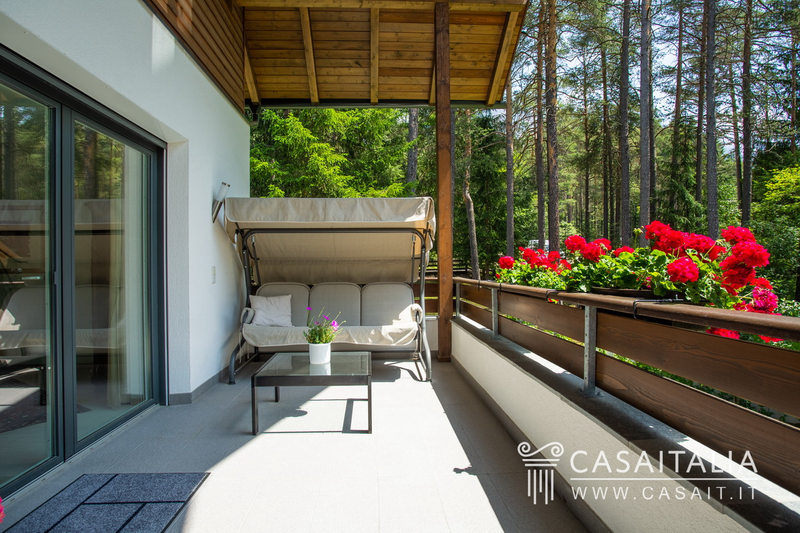 On the ground floor the large covered veranda is great for outdoor dining under the shady pine and spruce trees that run alongside the pretty garden, measuring over 600 sq.m. 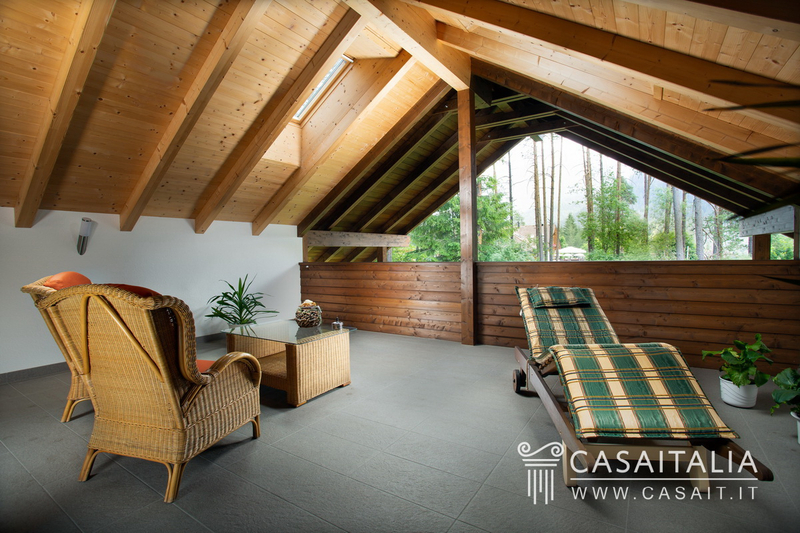 The sleeping area on the first and second floor also benefit from spacious outdoor areas: a terrace for the master bedroom, a balcony and the large mezzanine terrace measuring 35 sq.m. 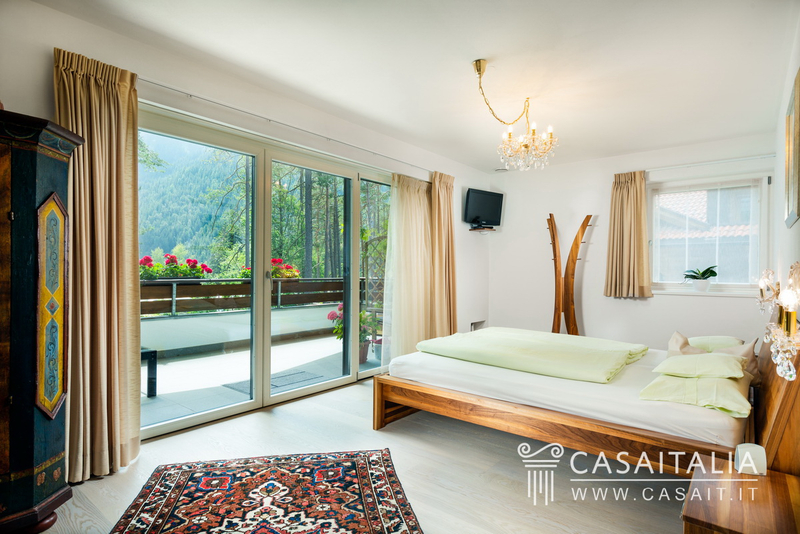 Use and potential uses Chalet Marebbe is a property with picturesque surroundings, well suited as a main residence or a luxury mountain home, for exclusive weekends on the slopes, which could generate an income due to the area’s popularity with tourists. 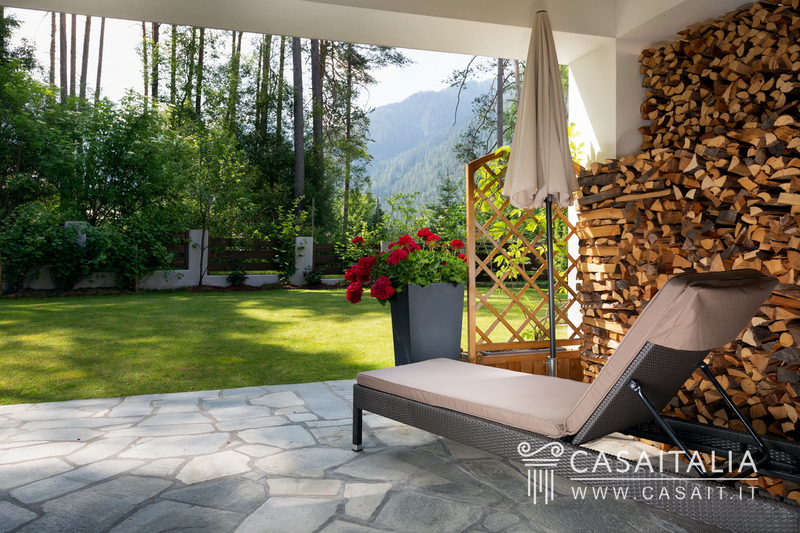 The mountain location is unparallelled in terms of unspoilt nature, and is ideal for alpine and nordic skiing and mountain biking: a paradise for those looking for their own house in the heart of the Dolomites.